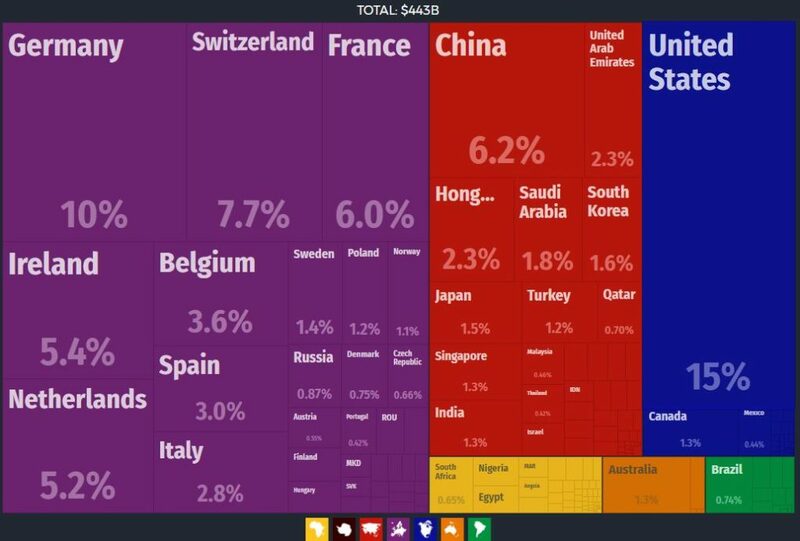 I recently noted a number of data visualization tools which can be useful when exploring and comparing worlwide Trade Data and I’ve found them useful when looking at data related to UK trade. 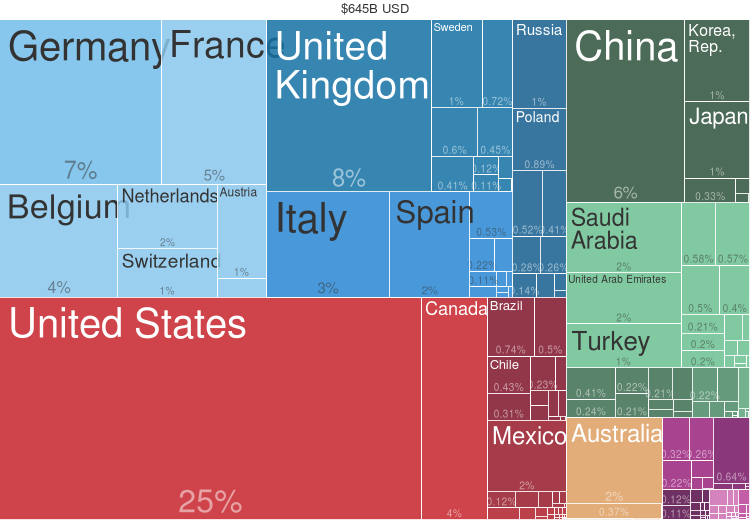 The Observatory of Economic Complexity is a tool for presenting interactive visualizations of international trade data, and was created as a result of a Masters Thesis in Media Arts and Sciences at the MIT Media Lab by Alexander Simoes. The observatory is published under a Creative Commons Attribution-Sharealike 3.0 Unported License. What does a country import and export? How has its trade evolved over time? What are the drivers of export growth? Which new industries are likely to emerge in a given geography? Which are likely to disappear? What are the GDP growth prospects of a given country in the next 5-10 years, based on its productive capabilities? 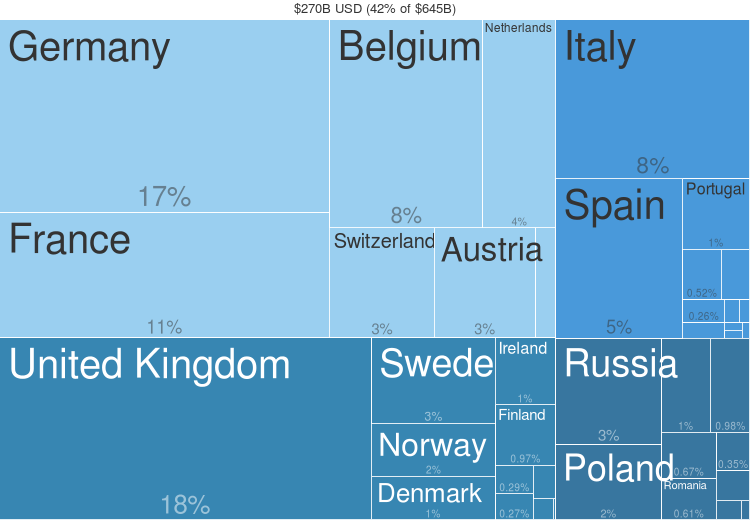 Examination of Trade Data can be useful in understanding the relationship and interdependencies of trade between the UK and countries in Europe and the rest of the world. It may indicate that the EU may still have an interest in maintaining a good relationship with the UK in order to have tariff free access to the UK market just as much as the UK has an interest in retaining tariff free access to the EU single market. The UK imported more goods (worth $592B) than it exported (worth $443B) resulting in a trade deficit in 2015. 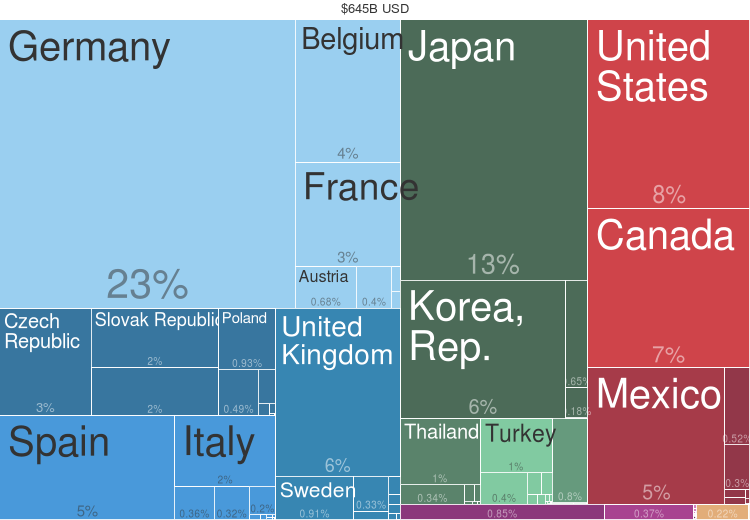 The UK imported goods worth $592B in 2015. 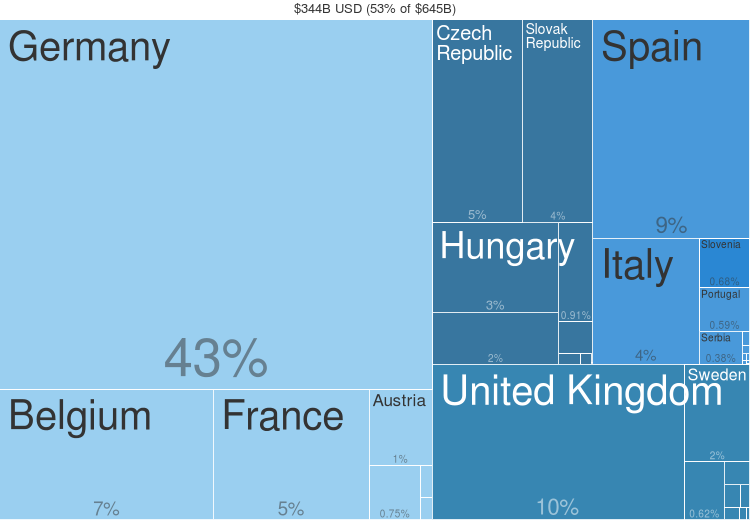 The UK exported goods worth $443B in 2015. The trade in Cars is often used as an example when analysing trade between the UK and the EU (and vice versa). The worldwide market in cars is worth $645 billion. 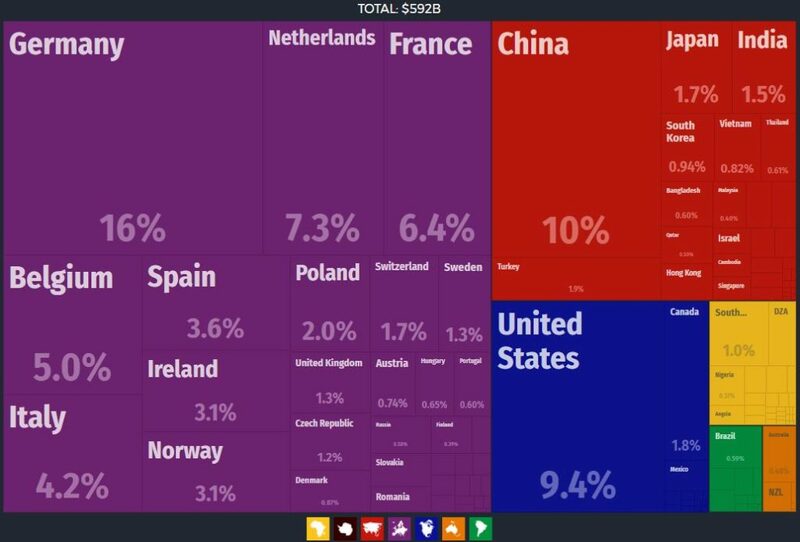 Countries in Europe, not just the EU, imported cars worth a total $270B which is 42% of the total market. The USA imported cars worth a total of $161B which is 25% of the market. The UK imported cars worth a total of $48.7B (8%) closely followed by Germany spending $45.7B (7%), China ($37.3 6%) and France ($29.7 5%). The UK imports 18% of the cars imported into European countries, followed by Germany (17%), France (11%), Belgium (8%) and Italy (8%).